Yoga Teacher Training is a 3-week sacred and spiritual immersion with the most noteworthy and inspiring Instructors. This 200-hr foundational Yoga Alliance Certified training program is designed for individuals who aspire to become teachers and also for those who would like to deepen their personal practice. Currently we host several month long immersion courses throughout the year. 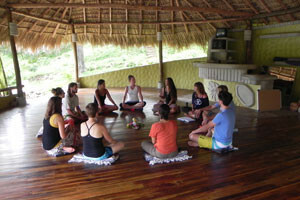 If you would like to visit Nica Yoga independently, private yoga classes may be scheduled. We will be posting community classes as they are offered. 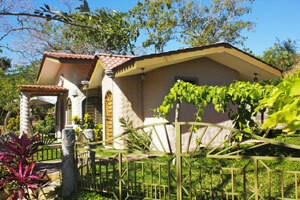 Special Group rates are available. Email us for information. We offer full amenity private homes with comfortable and spacious rooms, private hot water stone baths, trails and incredible sunsets. While visiting us, you will be cared for by a staff of our neighbors in the community. We actively contribute to their education and professional growth.